Ireland has become known as a food destination with customers seeking out high quality food and experience. When evaluating the source of revenue for the hotel and accommodation industry in the Republic of Ireland, 80 per cent of turnover is derived from food versus beverage (non-alcohol only ). This figure equates to 85 per cent turnover for the pub industry. This demonstrates that food is an extremely important contributor to the turnover for both the hotel and pub industry in Ireland. Unilever Food Solutions aims to seek out and celebrate the very best carvery offered by pubs and hotels on the island of Ireland with the Knorr Great Carvery Competition, now in its ninth year. 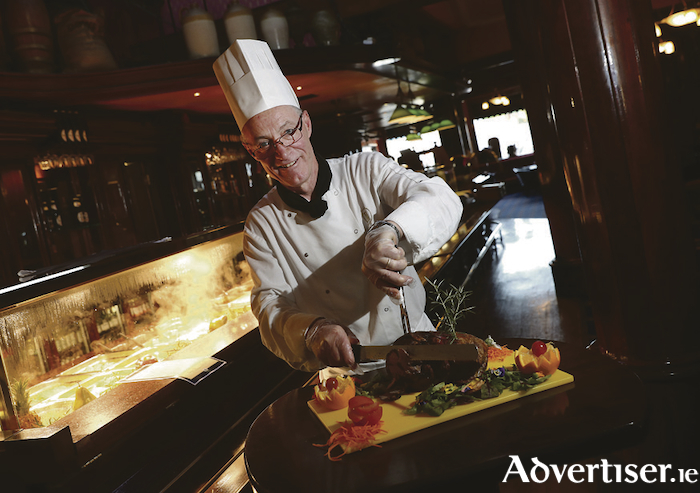 To enter, simply complete an online entry form describing why your carvery is the best. The shortlisted nominees are informed on July 16. There is a total of 24 nominees with three in the pub category and three in the hotel category from each province. Those who have been nominated will be mystery dined. On September 10, eight provincial winners will be announced and on September 21 the overall hotel and pub carvery of the year winners will be revealed. All those who enter will be in the draw to win an Apple iPad. There are great prizes to be won at each stage from shortlisted nominees, provincial winners and overall winners. The overall pub and hotel winners will receive: 200,000 worth of UFS Chef Reward Points, a Wüsthof Seven-Piece Silverpoint Roll Set, a special plaque and framed certificate to promote the win front of house and a chef jacket. Enter the competition at www.ufs.com/carvery The deadline for entries is June 30.